I love a simple supper. Days are long sometimes at the office. This is the PERFECT meal to prepare when you get home… so easy, so simplea and works with so many things… peas, green beans, a great salad, asparagus, brussel sprounts, etc. etc. etc. Here it is…. straight up and simple. Coat the chicken with salt, pepper, garlic salt, thyme. Place in a 9×13 casserole dish. Drizzle olive oil over the the chicken. 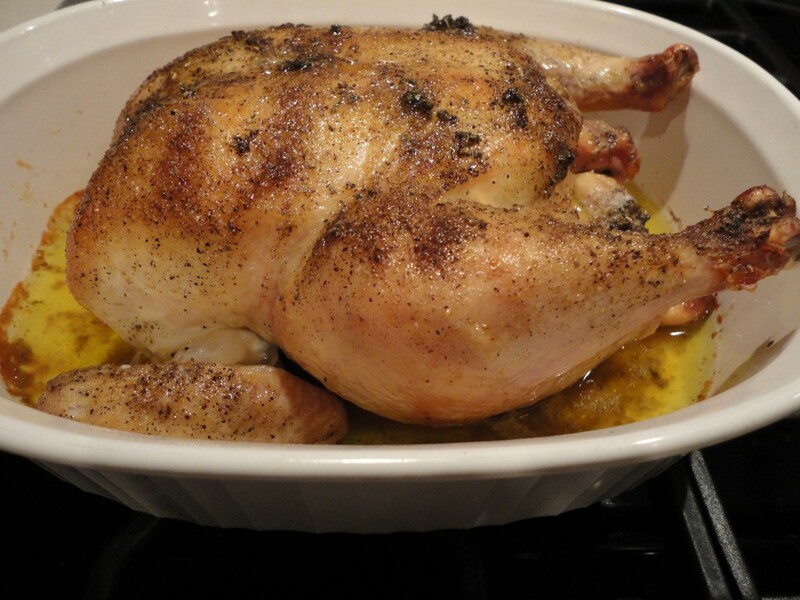 Place the chicken in the oven for 55-65 minutes (make sure it is completely done… because it is chicken) Always check the temp per the directions with a meat thermometer.